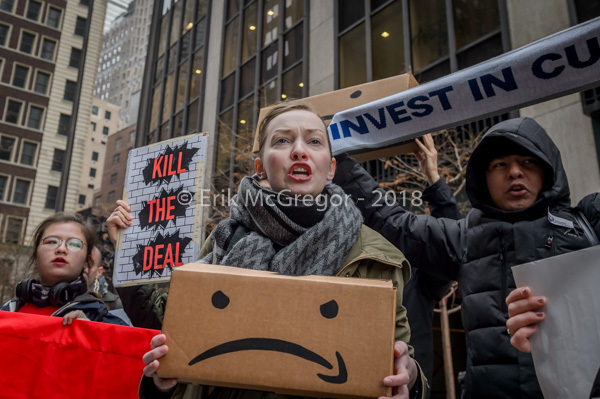 New York, NY – CUNY students, staff and allies held a rally, on November 30, 2018 outside Siebert Cisneros Shank & Co. in downtown Manhattan, protesting CUNY’s Board Board of Trustees chair Bill Thompson for endorsing the Amazon HQ2 deal. 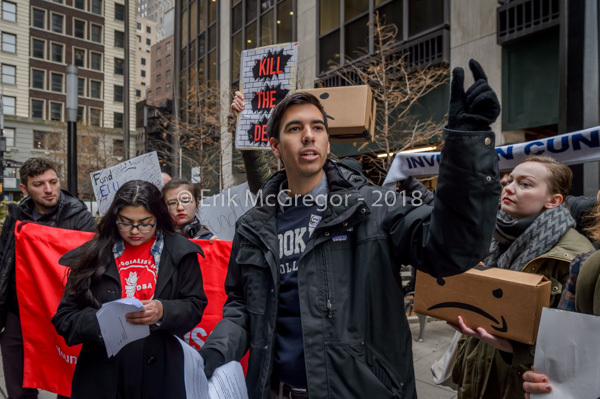 The students called on Bill Thompson to withdraw his support for the Amazon deal immediately and instead advocate for the investment of the $2.7 billion promised to the company to be invested in the CUNY university system and its students. 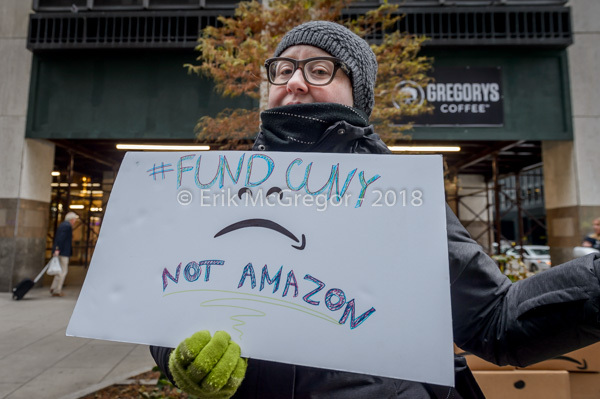 As CUNY infrastructure crumbles, their Board of Trustees Chair Bill Thompson endorsed the giveaway of billions of dollars to Amazon with a statement and an op-ed published by the NY Daily News. Meanwhile, Bill Thompson has consistently refused to stand up for the interests of CUNY’s students and staff. CUNY has been underfunded for decades, causing their infrastructure to crumble, while tuitions continue to increase. 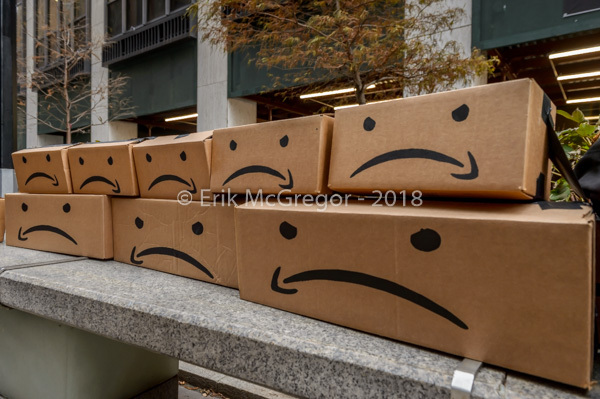 Students argue it is unlikely that Amazon jobs will benefit CUNY graduates and its move to Queens will only exacerbate the housing crisis and make it more difficult for CUNY students to make a living in the city they call home. CUNY has a history of lifting more people out of poverty and into the middle class then all the Ivy leagues combined, and continues to be a fountain of diversity in Queens and across New York city. This is America’s first public university versus one of the world’s first trillion dollar companies. 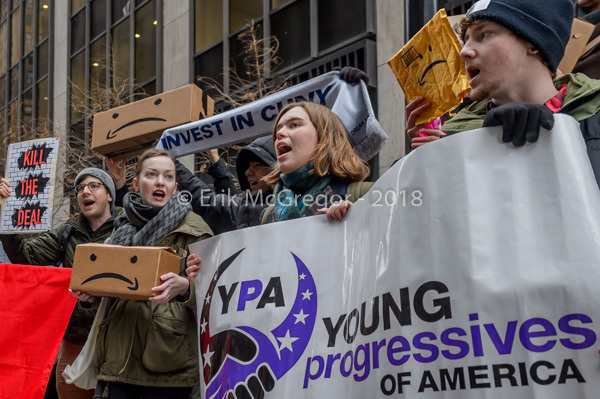 We know that Amazon isn’t bringing 50,000 high-paying jobs to help our communities, they’re bringing 50,000 people with high-paying jobs to replace our communities. 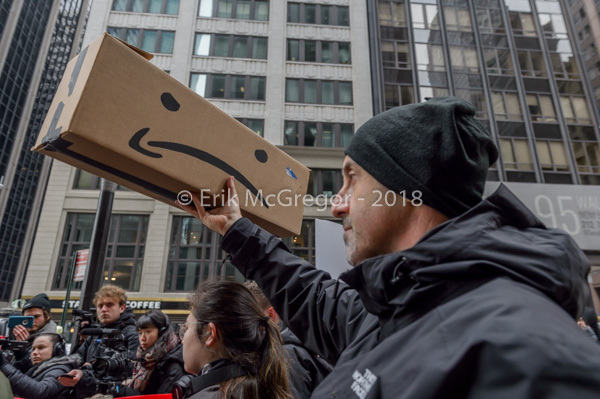 We know that Amazon exploits its warehouse workers and is a union-busting megacorp. We know that CUNY used to be free and must be free again! 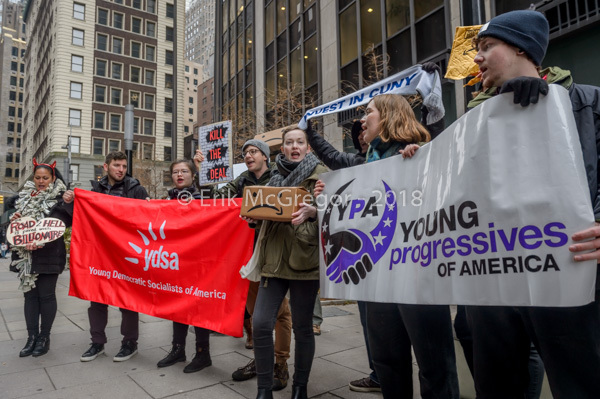 We will be rallying outside of the offices of CUNY Board Chairman Bill Thompson to DEMAND that he rescind his statement in support of Amazon and advocate for students – not megacorporations.